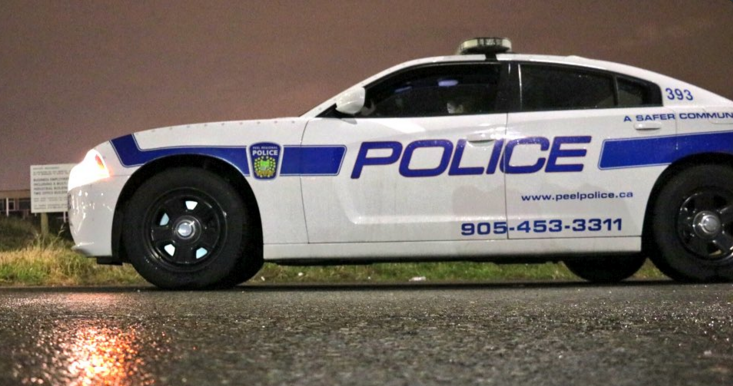 Two men and two women are facing a slew of drug charges following a sweep by the street crime gang unit in Brampton. A loaded gun and a variety of drugs, including fentanyl, crystal meth, cocaine, and marihuana were seized. “The total street value is tens of thousands of dollars,” said Peel Regional Police Const. Mark Fischer. Investigators searched a home on Monaco Ct., in the Bovaird Dr. W. and McLaughlin Rd. area, on Oct. 18, finding a loaded .22 calibre handgun. “Any time that we take a gun off the street, it’s one less gun that can possibly injure an innocent victim or be used for criminal activity,” said Fischer. Mark Armogan, 31, of Brampton is charged with: careless storage of firearm; possession of weapon for a dangerous purpose; unauthorized possession of firearm; knowledge of unauthorized possession of firearm; possession of a loaded or restricted firearm; possession of property obtained by crime; possession for the purpose of trafficking – marihuana; possession for the purpose of trafficking – meth; possession for the purpose of trafficking – fentanyl; possession for the purpose of trafficking – cocaine; possession of a controlled substance – meth; possession of a controlled substance – fentanyl; possession of a controlled substance – marijuana. Morgan Lee, 23, of Brampton is charged with: careless storage of firearm; possession of weapon for a dangerous purpose; unauthorized possession of firearm; knowledge of unauthorized possession of firearm; possession of a loaded or restricted firearm; obstruct peace officer; possession of a controlled substance – marihuana; possession for the purpose of trafficking- marihuana; possession of a controlled substance – marihuana. Courtney Hearn-Lawrie, 20, of no fixed address is charged with: careless storage of firearm; possession of weapon for a dangerous purpose; unauthorized possession of firearm; knowledge of unauthorized possession of firearm; possession of a loaded or restricted firearm; possession of a controlled substance – marihuana under 30 grams; possession for the purpose of trafficking-schedule II under 3 kg. Jason Barna, 41, of Brampton, is charged with careless storage of firearm, possession of weapon for a dangerous purpose; unauthorized possession of firearm; knowledge of unauthorized possession of firearm; possession of a loaded or restricted firearm; possession of a controlled substance – marihuana under 30 grams; possession for the purpose of trafficking- schedule II under 3 kg. Anyone with information related to illegal firearms or drugs can phone the street crime gang unit at (905) 453-2121 ext. 7704 or Crime Stoppers at 1-800-222-8477.